Erie Canal Legacy - historic architecture and life along the Erie Canal. Middletown, A Photographic History - online version of a book by Peter Laskaris. Twenty volumes of papers and correspondence of Sir William Johnson have been released in a revised second edition digital CD format by the New York State Library. The papers are part of the collections of the New York State Library. Johnson was British Superintendent of Indian Affairs in New York from 1755 through 1774. He is best remembered for his diplomatic achievements among the various Native American tribes and as a military leader during the French and Indian War. This set of primary documents dating from 1738 to 1808 provides a fascinating glimpse into the pre-Revolutionary interactions among the British, French, and Iroquois empires. The Sir William Johnson Papers were originally published in 14 volumes of print, including a general index, from 1921 to 1965. Valuable for colonial research, the earliest six volumes have been out-of-print for years. The newly released CD is a revised and expanded second edition of an earlier CD released in 2007. It includes the complete 14 volume set along with the “Calendar of the Sir William Johnson manuscripts in the New York State Library” compiled by Richard E. Day in 1909. The CD also features several enhancements, including: more than 100 newly digitized illustrations from the New York State Library collections; dozens of new color digital photographs of locations and scenes from the Mohawk Valley and Lake George appropriate to Johnson’s legacy, including Johnson Hall and Fort Johnson; improved accuracy of scans to nearly 98%; electronic indexing allowing simultaneous searching of the entire collection; and bibliographic consistency in volume and page numbering with printed volumes. Employing a frontier framework, this book traces intercultural relations in the lower Hudson River valley of early seventeenth-century New Netherland. It explores the interaction between the Dutch and the Munsee Indians and considers how they, and individuals within each group, interacted, focusing in particular on how the changing colonial landscape affected their cultural encounter and Munsee cultural development. At each stage of European colonization—first contact, trade, and settlement—the Munsees faced evolving and changing challenges. Understanding culture in terms of worldview and societal structures, this volume identifies ways in which Munsee society changed in an effort to adjust to the new intercultural relations and looks at the ways the Munsees maintained aspects of their own culture and resisted any imposition of Dutch societal structures and sovereignty over them. In addition, the book includes a suggestive afterword in which the author applies his frontier framework to Dutch-indigenous relations in the Cape colony. Paul Otto is Associate Professor of History at George Fox University in Newberg, Oregon where he teaches early American, Latin American, and southern African history. He earned a Ph.D. from Indiana University and, as a Fulbright scholar, undertook research in the Netherlands. Order online at www.berghahnbooks.com and receive a 15% discount on all titles ordered. Long before anyone had heard of Las Vegas, Miami, Aspen, or Nassau, Saratoga Springs was America’s most famous, most important, and most extravagant resort community. Using travelers’ accounts and other primary sources with imagination and skill, Field Horne has not only related the impressive story of this unusual New York village, but he has demonstrated how persons interested in the history of other communities can recapture their own past. The Empire State serves as a successor to David Ellis' A Short History of New York State, for many years the standard one-volume account of the state but today outdated and long out of print. 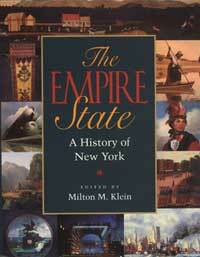 It has been over forty years since the last entirely new comprehensive scholarly history of New York was published. Click here for details. Reviewed by Douglas Kohler for New York History Net. Famous Authors Tour - historic sites related to authors who found inspiration in New York State. Adirondack Life - magazine covering New York State's six-million-acre Adirondack Park, highlighting the region's wildlife, history, and vacation opportunities. Afro-Americans in New York Life and History - an interdisciplinary journal that is published two times per year (January and July) by the Afro-American Historical Association of the Niagara Frontier, Inc.
Hudson Valley Magazine - history and culture of the Hudson Valley. Journal of MultiMedia History - The History Department at The University at Albany has been in the vanguard of using new media. Mohawk Valley Heritage - promotes resources of the Greater Mohawk Valley. New York History - New York History Tables of Contents 1984 - 2001, journal published by New York State Historical Association. Natural History - magazine of science, nature, and culture published by the American Museum of Natural History. The site has news of the current issue, and past highlights. Wayne Weekly - regional events and issues, entertainment, history, travel, and more. Black Dome Press - Catskill Mountain and Hudson Valley books. Diamond Farm Book Publishers - publishers of agricultural and natural history books and videos. Feminist Press, The - nonprofit publisher devoted to restoring the history and literature of women. Fitzgerald Publishing Co. Inc. - specializes in Black history and biography, featuring Golden Legacy, an illustrated history magazine series. Hope Farm Press & Bookshop - New York history and genealogy books for sale on all regions of New York State with excerpts, reviews, searchable indices, etc. Kiskatom Publishing Company - A short list of quality publications on the Saratoga region. Library of America - is a nonprofit publisher of classic American literature and history in authoritative editions. New York State Museum Publications - publications of the NYS Museum cover the fields of Anthropology, Biology, Geology, and History. Contact Publication Sales, 3140 CEC, Albany, New York, 12230, telephone (518) 402-5344, or email <nysmpub@mail.nysed.gov>. Purple Mountain Press - has New York State regional books and maritime books. SUNY Press - publisher of scholarly and trade books, focusing on the humanities, social sciences, and fiction. 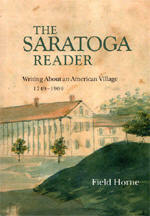 Syracuse University Press - publishes many New York State titles. Grolier Club, The - society for book collectors and others involved in the book arts. Programs include free public exhibitions, publications, and a research library on book history. New York mailing lists - email distribution lists of interest to New York Historians and New Yorkers. Submit a review copy of your publication by mail to Review Editor 505 Delaware Avenue, Albany, New York 12209.